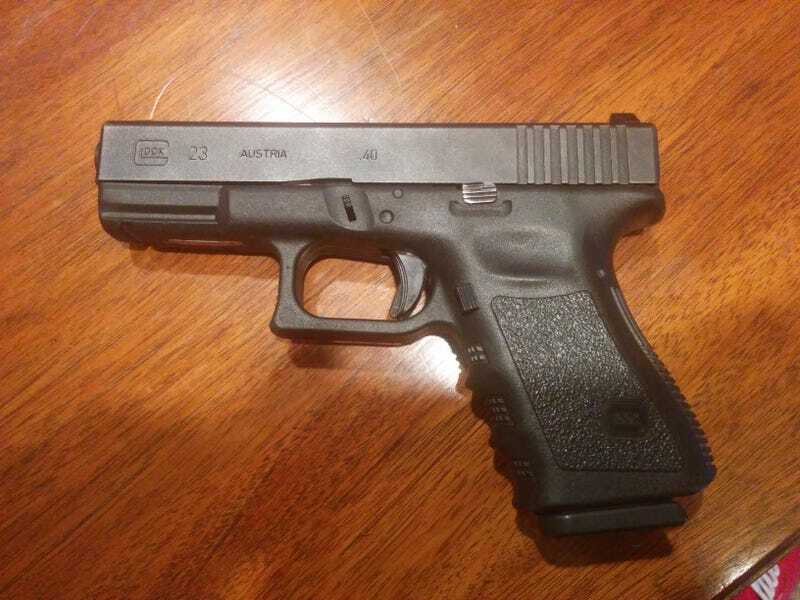 Gen 3 Glock 23 in great shape. It was a police trade in and came with night sights which is awesome. Now I just need to take a CCW class.